・It will be a limited time pack from April 1, 2019 to May 31, 2019. ・It will be a meal-oriented plan that will satisfy those of new recruits. ・I will give 1 bottle of champagne for every 10 people. ・When you make a reservation you will receive "Bowling 1 Game Free Ticket" for all customers. ・I will present a gift to the secretary. ・We will respond to consultation for party production as usual by the exclusive coordinator. ・If you do not wish to have drinks all at once, we will receive it at 5,480 yen (tax included) with 1 drink. ・Reservations are accepted from March 1st. For cancellation fee please refer to the following. 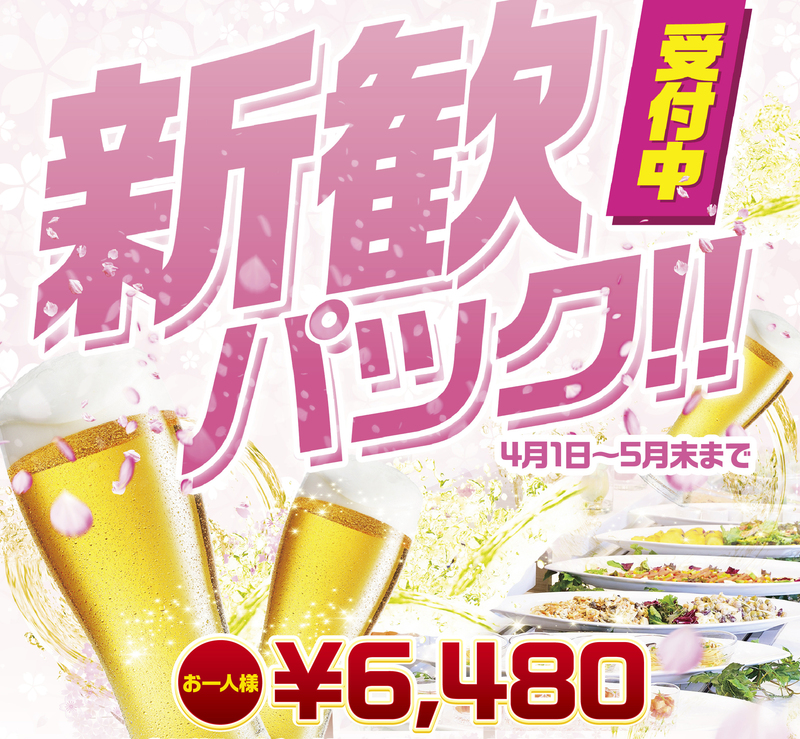 All-you-can-eat frankfurt while bowling if you add all-you-can-drink（1,500yen）to Party pack plan. We are currently conducting a popular "Plus One Plan"
※There is a possibility of changes of menu depending on the seasons. ・If you want to enjoy both foods and bowling firmly this package plan is for you. This package plan specially designed for special events such as New Year`s party, Year end party etc. Exclusive coordinator will coThe picture is part of the party pack. You can have special 10 dishes until you satisfied. Menu of the lunch buffet and dinner buffet is different. ・Reservations accepted up to one year in advance Please refer to the following for a cancellation fee. ・There is a package recommended for those who want to enjoy food and beverage when playing games. ・Reservations accepted up to one year in advance Please refer to the following about the cancellation fee. ・It is a package plan that has "upgraded" quality and quantity of the cuisine, and also quality of production of party and bowling. ・While bowling, you can also drink as much as you want, like in the party. ・Reservations accepted up to one year in advance. Please refer to the following about the cancellation fee. ・2 games + shoe rental + soft drink without meal. this package costs 2,920yen（Tax included）. ・Please refer to the following about the cancellation fee. Following cancellation fee will occur with regard to various packages.